The experimental design unit in AP Statistics is a fun one, with lots of opportunities to design activities, discuss possibilities and collect data. For a few years, a “Hallway Bowling” activity I created has been one of my favorites for discussing matched-pairs experiments. This year, I added a new wrinkle to this activity day, in order to economize class time. As students entered the class, they drew a playing card, each having one of three suits which determined their group assignment for the day. Each group had 7 or 8 students. Groups then rotated through 3 stations, with 15 minutes on the clock, and with each activity designed to review a different aspect of the chapter. In Station 1, students met with me in a small group, where we discussed experimental design, writing ideas and experiment trees on desks. This was a departure from whole-class discussions, and more students had the chance to share their ideas on experiments dealing with clothes washing temperatures and drug trials. Experimental design vocabulary like blocking and matched-pairs were clarified, and the small-group discussions were rich. At the end of the day, the students shared how much they liked being able to share in a more intimate setting. In Station 3, the group went out of the room to play and collect data with “Hallway Bowling”. 15 minutes was enough time for students to practice, play, and collect data. players stand behind one marker, and roll a golf ball as close to the other marker as possible. During the data recording, players will roll 4 times; alternating hands and measuring the disatance to the marker. After the activity, a whole-class discussion is held to talk about Hallway Bowling as an experiment. What are we trying to prove? How does our activity provide data for the experiment? Where is the randomization? What could be done to improve the design? Here, we are looking to encourage “matched-pairs thinking”; where all subjects are exposed to both treatments (rolling with dominant and non-dominant hands), and we are interested in those differences. We can also consider blocking here if we feel that males and females may be effected diffferently by the treatments. We can also revisit the data later when we look at hypothesis testing procedures. And about that data we collected? My kids entered their data into a Google form. There are some great comparisons to consider: right hand vs left hand, boys vs girls. 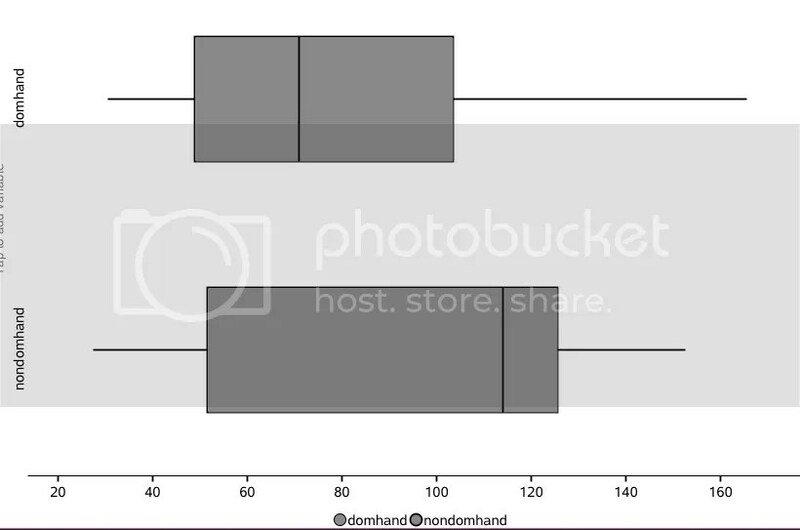 But how did the distances come out for dominant hands vs non-dominant hands? If players are truly better with their cominant hands, we should see many negative differences here. We see over 50% negative, but is there enough evidence to prove a mean difference for ALL players? Time to start linking to inference. 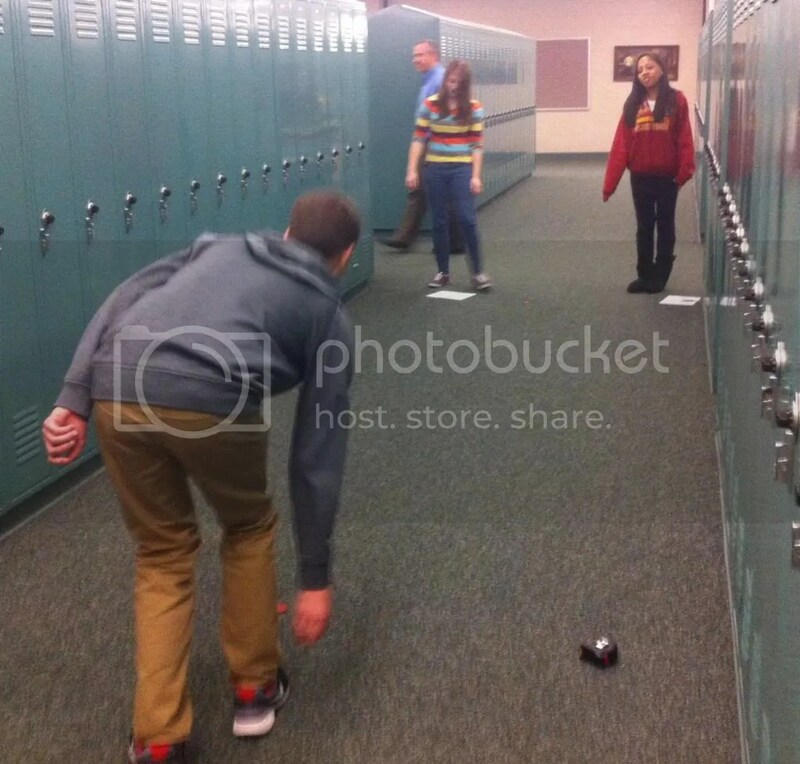 So have fun with hallway bowling, and try some classroom stations! 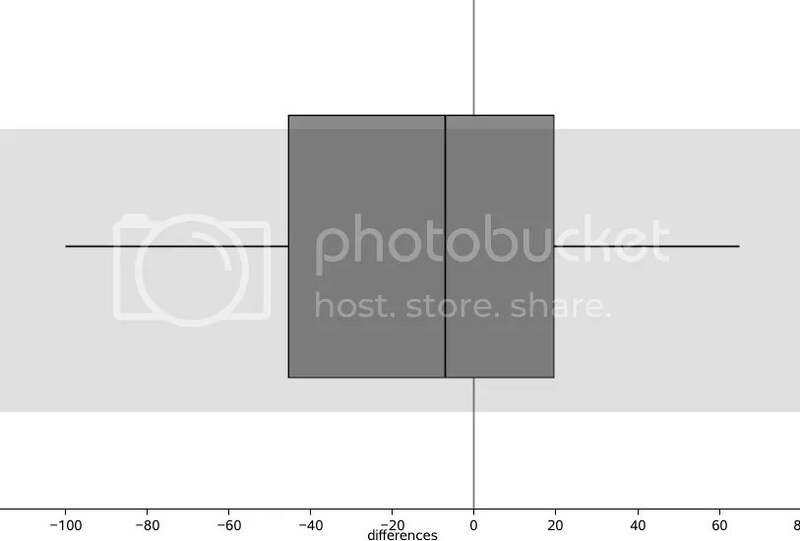 This entry was posted in High School, Statistics and tagged experiments, matched pairs, stats. Bookmark the permalink. I love the idea of stations. I will be implementing this next semester in my Intro Stats course.